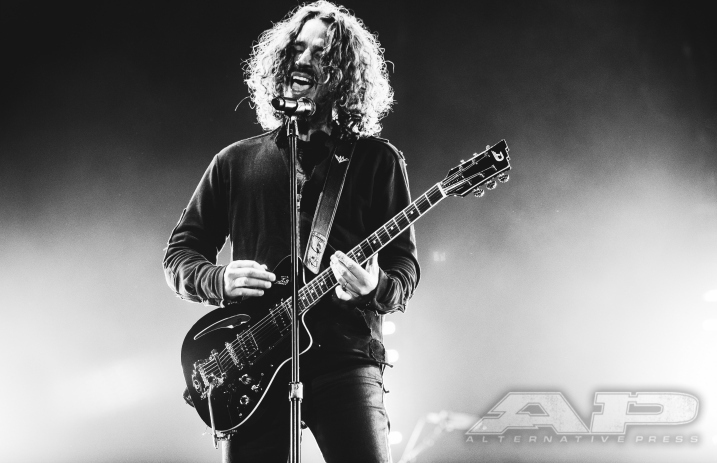 TMZ has uncovered a toxicology report that shows Chris Cornell had four different prescription drugs in his system when he died on May 18. You can read his wife's response to this toxicology report below. TMZ has uncovered a toxicology report that shows Chris Cornell had four different prescription drugs in his system at his time of death, including Lorazepam (Ativan). Other drugs found in his system include Naloxone (Narcan), Butalbital (sedative), Pseudoephedrine (decongestant) and barbiturates. Ativan was also mentioned in the police report as it was written that bodyguard Martin Kirsten gave Cornell two Ativan after helping the Soundgarden frontman with his computer. Cornell was laid to rest at the Hollywood Forever Cemetary with the likes of other influential musicians George Harrison, Dee Dee Ramone, and Johnny Ramone who have also been laid to rest there. The music world is still mourning the loss of Chris Cornell, who passed away Wednesday, May 17 at the age of 52. Artists from the Red Hot Chili Peppers to Linkin Park have paid tribute to the music icon, with Linkin Park's Chester Bennington, who was a close friend and even godparent to one of Cornell's children, singing Leonard Cohen’s “Hallelujah” for the mourners at Cornell's funeral.